It is Saturday, and you may be thinking about a good plan to enjoy this fabulous Supermoon evening. If you need ideas, let me suggest a couple of things that you probably have never done. How about going to an event that celebrates the Spring Equinox, the full moon, and the largest moon of 2011 with cool music and healing workshops? If you are curious, then come and recharge your soul, mind, and body with the first ever Healing Arts Festival tonight at MultiKulti in the Wicker Park neighborhood (1000 N Milwaukee). There will be healing workshops from 6 to 9 pm and later that night, you get the chance to hear the newest band to hit Chicago with their Rumba Reggae Fusion: Nu Bambu. For more information about this event, click here. Will you party Spanish, Indian, or Greek-Serbian style tonight? First option:Chicago Flamenco Fusion group EL PAYO is celebrating the release of their new CD at Martyr (3855 N Lincoln Ave). Their fusion represents the integration of the Flamenco rhythms of Spain with the Urban sounds of Chicago. The show will feature local Latin ska band Los Vicios de Papa, and representatives of Sonorama, a Chicago based DJ collective devoted to the best and most danceable in world music. Tickets cost $10 in advance. Buy them here. Third Option: Mediterraneo Fridays and Go Live Entertainment present Greek-Serbian night at NV Penthouse Lounge (116 W Hubbard). Tim “DJ CT” Spears, Milwaukee’s DJ Goran V, and Dino “Petsa” will be spinning music until 2 am. Admission is free before 11 pm. If you decide to go to any of these events, I would love to hear about your experience and see your pictures or videos. You can submit them to chicagourbanite@hotmail.com and if you want, we can have them published here. Have fun exploring Chicago tonight! Tonight is the first presentation of the newest band to enter the Chicago world’s music scene: Nu Bambu. This is a bilingual, street-smart band that has cutting-edge lyrics with a twist that fuse together different styles such as rumba and reggae. The sounds of Nu Bambu are as diverse as our cross-cultural musicians, who come from Jamaica, France, Venezuela, Colombia, Peru, Puerto Rico, Cuba and the United States. Strong Latin and Reggae flavors, pitch-bending trumpet and potent bass and drum lines give the songs a unique progressive flavor along with conscious-raising, bilingual thought- provoking lyrics that morphs into hip cutting-edge music for a new generation. This musical fusion is very contagious and rhythmic, so be ready to dance when listening to our songs. Get a taste of our music by clicking on this link, and come see us perform live tonight at Silvie’s Lounge in the Ravenswood neighborhood at 10 p.m.
We will also be performing this Saturday March 19 at 10 pm at the Healing Arts Festival and Supermoon Reggae Party at Multi Kulti (1000 N Milwaukee) in Wicker Park. Hope to see you all there. 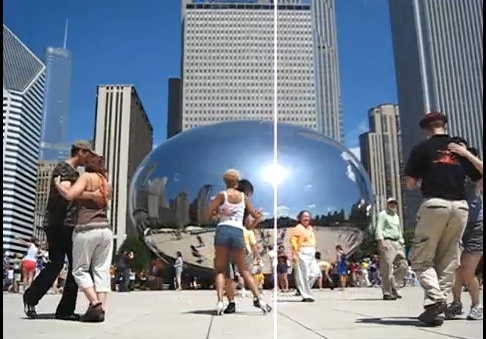 Who wants to Tango in Chicago? This post is not about music or dancing but it has a strong local multicultural flavor. Tonight, don’t miss out local Korean-American designer Christina Yi’s introduction fashion show at Lumen. The show is titled “East and West” because it focuses on the two cultures fight for freedom. The show, sponsored by Akira Shoes, starts at 11:30 p.m., but get there early and enjoy a cocktail at the private cocktail reception. Free entry for you plus a guest from 9pm to 11:30pm! Print this flyer for free admission. RSVP with Lumen for Private Cocktail Reception from 9pm-10pm! Tonight:Come to the best Brazilian Carnival party in Chi-Town! 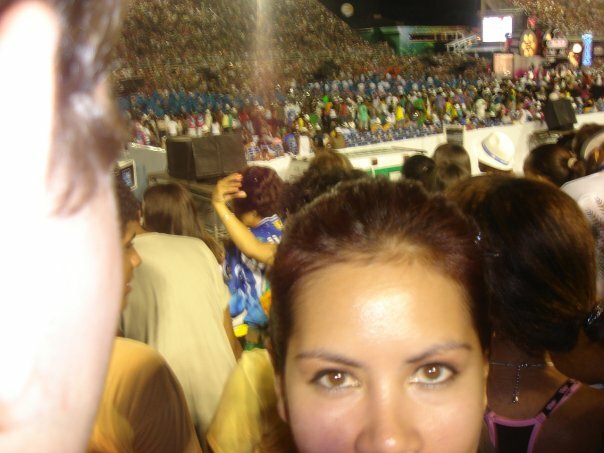 Last year, I had the fortune to be in Rio de Janeiro for carnival. This is one of the biggest celebrations in the world and something you should experience at least once in your life. The entire city stops its regular activities and parties for days. I took this picture at the Sambodromo during the wee hours of the night. As you can see, the place was packed and the people were exhilarating, dancing and singing non-stop. To me, carnival is the ultimate expression of what it is to be Brazilian. This year, I cannot be in Rio, but since I am in beautiful Chicago, I have the chance to party Brazilian style with the local musicians and dancers. I am planning on attending this fabulous Carnival celebration. Don’t miss it! It promises to be the best party in town. Carnival costume dance performance by Passistas Samba Dancers and Special performance by Gingarte Capoeira. 18 and older to enter. MUST be 21 and older to drink alcohol. Welcome! This blog is dedicated to those interested in exploring a different side of Chicago, one that is culturally diverse, cosmopolitan, global. This city is home to a very diverse group of world musicians and dancers. I want to showcase their talent here and to inspire you to participate in the local world music and dance scene. 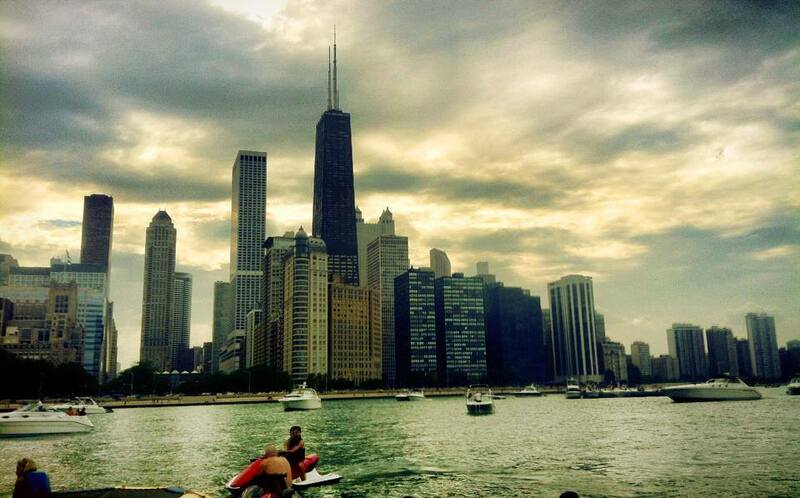 You will feel there is no need to leave Chicago to travel around the world.